IntelliDoX links intelligent home modules and the software Fleet Manager II to automate instrument and data management for the BW Clip, GasAlertMicroClip and ConneX1 series gas detectors. This helps you increase the productivity, reliability and efficiency of your operations. This system is fully customizable for industrial or commercial applications with any Honeywell Analytics sensors. Manning GM-JR is specially designed for the industrial refrigeration sector with a customized computer control system. MicroDock II is the fastest and most reliable way to manage calibration of the BW Technologies portable detectors designed by Honeywell Analytics. New visibility, reliability and ease of use for gas detection in industrial production and semiconductor processing. The Satellite XT detects a wide range of toxic, corrosive and flammable gases in the air for several applications. 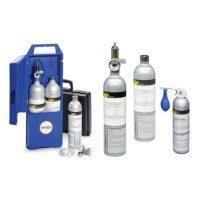 Searchline Excel is the preferred infrared gas detector from customers all over the globe. Searchpoint Optima Plus is a punctual and fast infrared hydrocarbon gas detector for atmospheres with high risks of explosion. 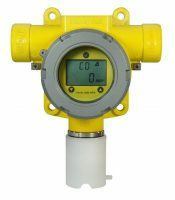 The Series 3000 series of transmitters provides comprehensive monitoring of the explosion hazards associated with toxic gases and oxygen in the atmosphere. 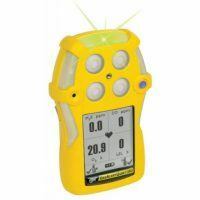 Increase your safety level and productivity with the easy-to-use belt gas detector for low concentrations of toxic substances. The new generation of the SQN8x series is reliable, efficient and proven for a long time for refrigerant, toxic and explosive gases. 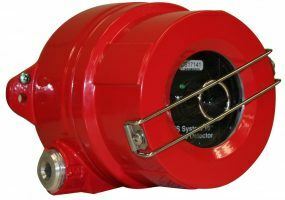 The SS series detectors are compatible with several alarm panels. The System 57 intelligent controller collects data from your toxic and flammable gas detectors, manual alarm and heat triggers, as well as smoke and flame in one place. TouchPoint Plus is an easily configurable wall control system that supports up to sixteen gas detection channels. Its intuitive user interface and modular approach allow you to take control and configure what you need for a wide range of applications. ToxyPoint is a two-wire transmitter that continuously monitors carbon monoxide in ambient air at low cost and maintenance-free. Unipoint can be installed easily in any metal or plastic case, both indoors and outdoors, regardless of the type of environment on a small or large scale. The Vertex M can monitor from 8 to 24 points and upgrade or improve certain toxic gas monitoring systems with Chemcassette® technology. XNX™ Universal Transmitter supports a wide variety of electrochemical as well as infrared and catalytic filament gas detectors in a single platform.